Ethical Governance is a coaching and consulting firm providing ethics and ethical leadership solutions to a range of industries. We help our clients to enhance their leadership potential and improve ethical culture of organizations by creating an environment where doing the right thing matters. We help leaders identify their core values and develop the courage to act in line with them. Making the right decisions becomes easy when you know what you stand for and live in line with your purpose in life. We are committed to teaming with organizations and leaders across various sectors to affect true, lasting change globally. We care about the individual! 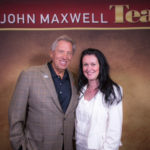 Have you become all you can be….or is there more? Would you like to increase your influence and become a respected leader in your team, your boardroom and your organization? No matter what stage of your career you are in we can help you with an accelerated program of growth tailored EXACTLY to your unique requirements. Why not find out what our one-on-one transformative coaching, leadership or empowerment mentoring programs can do for you. It could be the most important decision you made this year. We care about the organization! Would you like your staff to be more productive? More engaged? More fulfilled? Combining cutting-edge research with industry trends we have designed a range of services to help you improve ethical culture of your organization and create value for all your stakeholders. 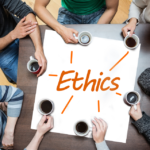 Our Ethical Culture Assessment can help you check the pulse of your organization. 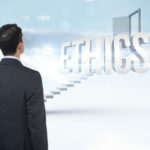 Online Ethics Training assists you to remind your employees that doing the right thing matters in your business and with our range of Ethical Leadership Programs you can develop and nurture your existing talents. We also work closely with you to Align Action with Values which focuses on creating a strategic alignment with your core values, vision and everyday tasks. This program can be customised for various sectors including not-for-profit organizations, corporations, small businesses as well as the public sector. 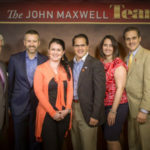 Call us today and find out how to bring out the best in your team!